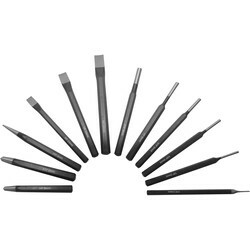 Clearly define or mark the centre of a hole to drill with our wide range of centre punch tools and metal stamping kits at Toolstation. 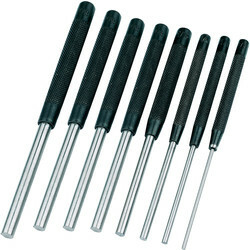 We supply an array of metal punches and stamps for various metal work. 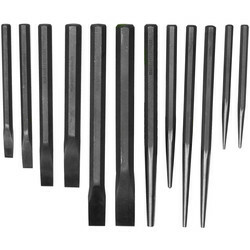 Browse our pin punch sets, including five or eight separate pieces in a variety of sizes and lengths. The automatic centre punch is a handy tool for metal workers. Its knurled brass body and high grade steel tip ensure its long productive life, even with heavy use. 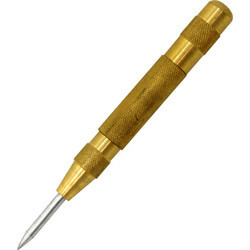 The hardened point of this centre punch tool is ideal for instant marking. 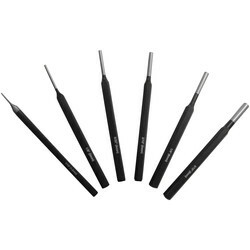 Our popular 5 piece centre punch set has a flat square head for smooth hammering action. Each piece has an easy to hold knurled grip and polished tips for a sharp marking. 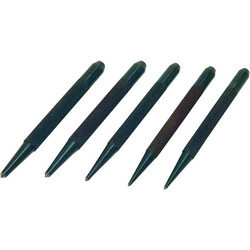 This centre punch set is hardened and tempered so it is well-suited to regular use. Naming or labelling metal is simple with the letter and number punch set. Each hardened and tempered punch tool has embossed letters and numbers, to specify or characterise a piece of metal. 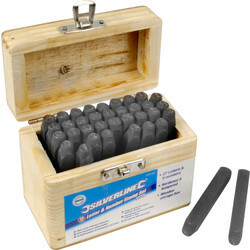 This 36-piece letter punch set is contained in its own convenient wood box for easy storage.